“The Fountain is a bit of a holy grail for us here at Mondo. Ever since we started pressing records, we've tirelessly pursued how to make this reissue a reality. 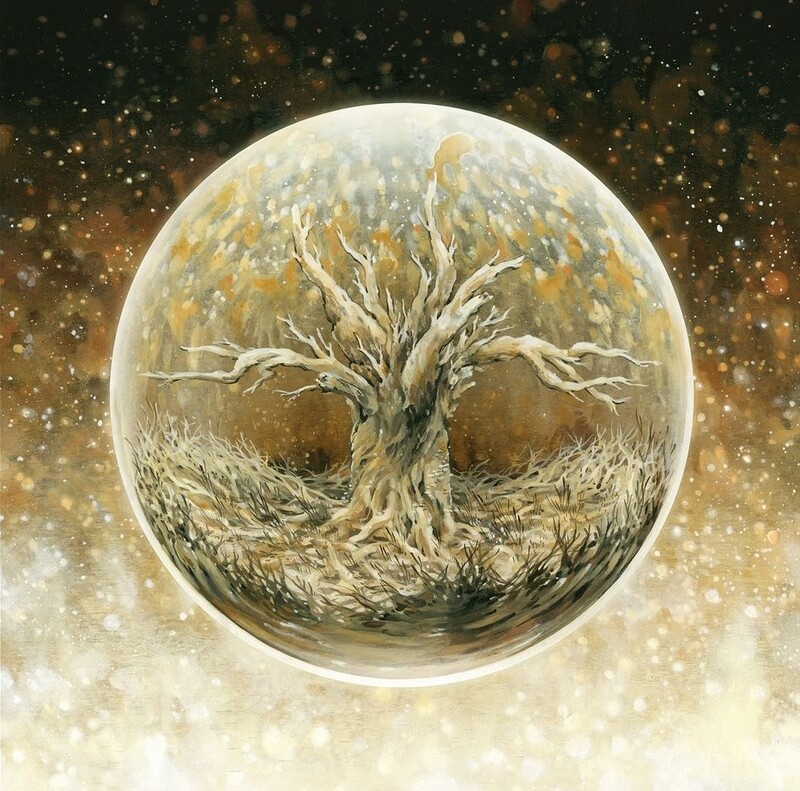 Thanks to our friends at None Such Records, we are so pleased to not only release it, but also have the participation of Clint Mansell,” said Mondo Label Production Manager Mo Shafeek. A longtime collaborator with filmmaker Darren Aronofsky, Clint Mansell has produced some of the century’s most iconic scores for movies like Aronfsky’s Requiem for a Dream, Black Swan, The Wrestler and Duncan Jones’ Moon. “The score for The Fountain is an absolute modern day masterpiece. Robbed of a much-deserved Grammy, Mansell’s score has grown in stature to the point of obsession for his many fans,” said Mondo Record Label Manager Spencer Hickman. The score is the result of a composer firing on all cylinders, collaborating with both the Kronos Quartet and Scottish post rock band Mogwai. It’s assured, mournful, desolate, yet strikingly beautiful and offers a real warmth and depth not many composers can achieve. The penultimate track “Death Is The Road To Awe” displays just how well The Kronos Quartet and Mogwai work together under the watchful eye of Mansell. It’s a staggering piece of chamber music ramped up due to the power of Mogwai that is as intense as it is spectacular. When it finally dissipates after its 9-minute runtime, there is no doubt that Mansell has earned his right to sit next to masters such as Ennio Morricone, Bernard Herrmann & Phillip Glass. 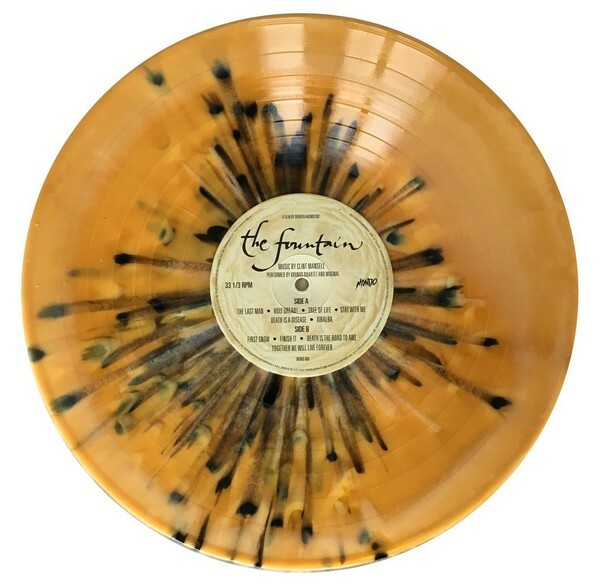 The score for The Fountain was remastered for vinyl at AIR Studios London and features all new liner notes and an interview with composer Clint Mansell. The collectible packaging features mind meltingly gorgeous artwork from Nicole Gustafsson. It will be made available first to attendees at MondoCon with an online sale set for November 2016. 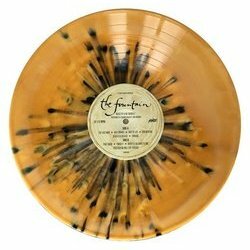 The Fountain - Original Motion Picture Soundtrack LP. Composed by Clint Mansell. Performed by Kronos Quartet and Mogwai. Web exclusive pressing on 180 Gram Xibalba Vinyl (Gold and Yellow Swirl with Black & White and Amber Splatter). Artwork by Nicole Gustafsson. Featuring liner notes and interview with Clint Mansell.